A day of cold relentless rain has made me long for something hot and sunny. 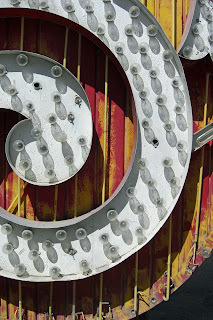 I am thinking about the rescued signs that bake in the sun at the Neon Museum in Las Vegas. 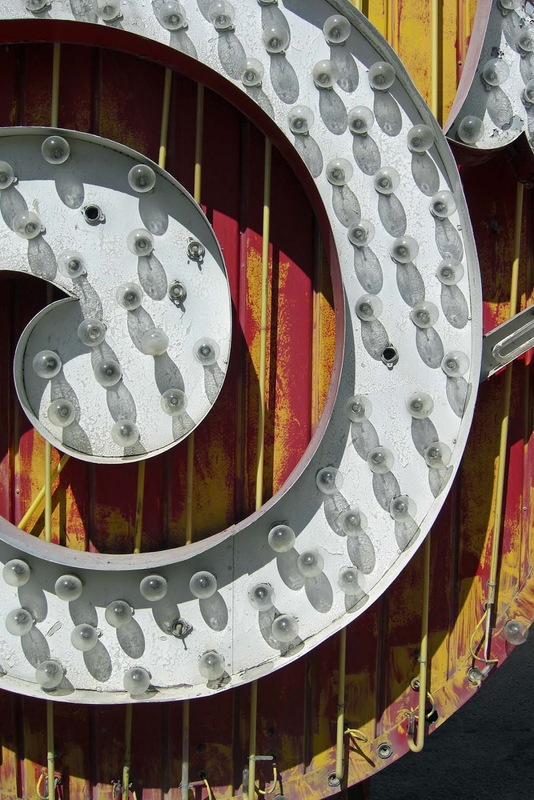 Whenever a day seems too chilly, too gray, I think about those layers of bright paint, weathered to perfection, the unrelenting sun casting dramatic shadows in the curves and angles of giant letters. I remember watching the patterns of softer shadows created by long-dead light bulbs, They moved as I moved, their shadows elongating or shortening. Sunny inspiration, waiting for me.